Paul has been photographing professionally for 20 years. His experience in the photographic arts prior to this adds more than a decade to his resume and portfolio. He has photographed over 1000 weddings in most selected locations around San Diego County and other beautiful cities in Southern California. 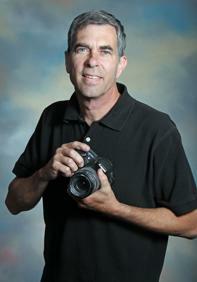 He has also photographed hundreds of other memorable events in the lives of families and organizations. Throughout his career, Paul's friendly and professional service has gained him innumerable customers and industry professionals who have become friends. To date, many of them continue to seek his photographic services or professional advice. Paul uses both digital and medium formats to best record the memories that you will cherish for years to come! His consultations are personal and free of charge. Cell 619.847.5250. Request an appointment.